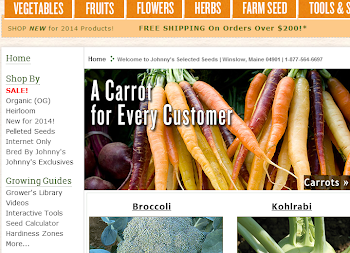 In early April, once we have determined which varieties we want to grow and how many plants of each, we assemble the seeds, 20-row flats, and Johnny’s Germination Mix that we will need to start the growing process. We place masking tape on one edge of the 20-row flat, so we can keep track of the varieties we have sown. We fill the rows three-quarters full with the germination mix, tamp it down slightly, and seed our rows with 20–30 seeds per row. The flats are covered with more germination mix and watered lightly. 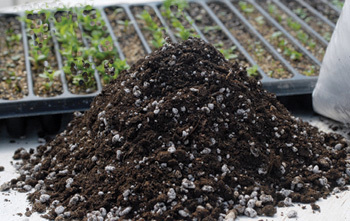 A leak-proof tray is then set on top, to ensure that the flat retains moisture during germination, and the flat is placed in a warm (85°F/29°C), dark place. As soon as the first few pepper seeds germinate, we take the trays out and place them on heat mats, with the temperature set to 75°F/24°C. 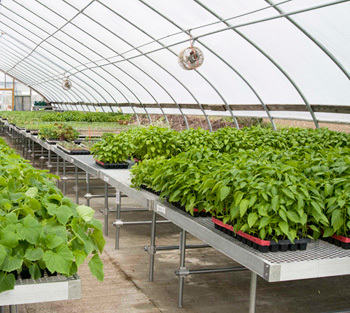 Once the plants reach the stage where you can see the first true leaves, we “bump up” the seedlings to the 50-cell flats in which they are going to spend their most active growing time. 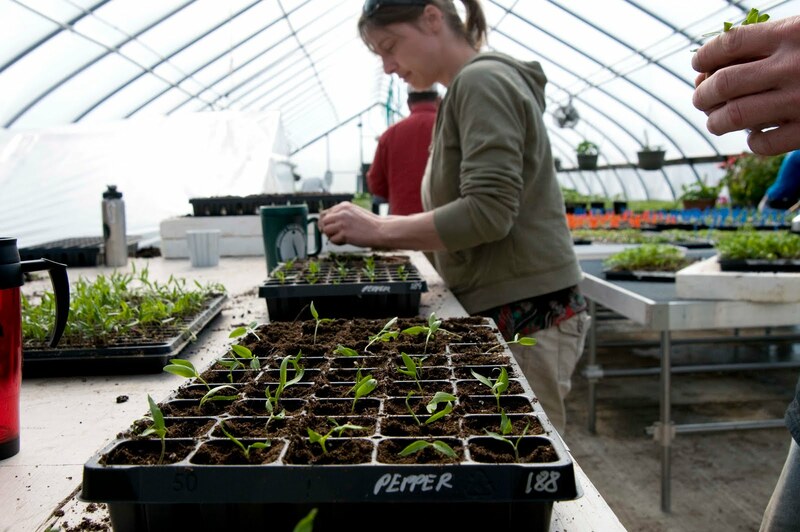 Here in Albion, Maine, the length of time the seedlings will spend in the 50-cell flats is usually about 6 weeks, or until they are ready to be transplanted. Our peppers are planted on IRT (infrared-transmitting plastic) mulch, with two rows per bed and plants 18” apart in staggered rows. The plastic mulch should be at least 32” across, which allows for the two rows to be planted away from the edges of the poly, where they may receive unwanted root pruning from mechanical cultivation. We fertilize the ground and lay the poly on slightly raised beds about a week prior to transplanting. 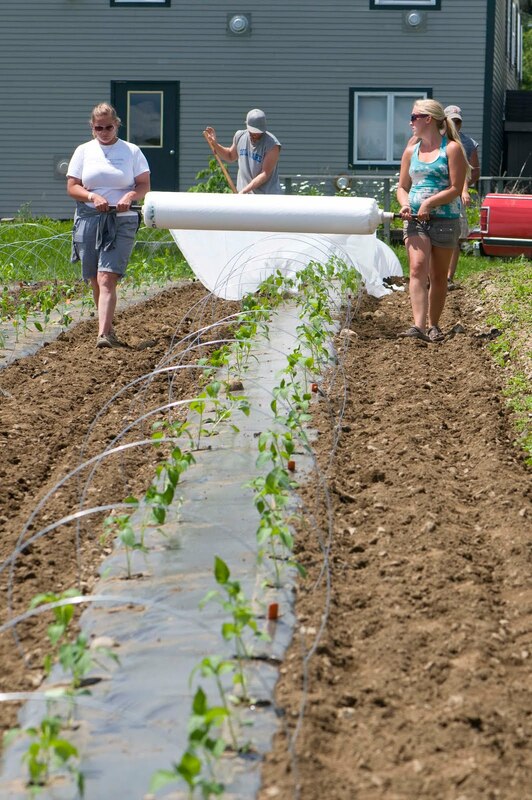 Depending on current weather conditions, we may install wire hoops and floating row covers immediately after transplanting, to add warmth and decrease transplant shock. These row covers are removed when nighttime temperatures reach an acceptable degree. 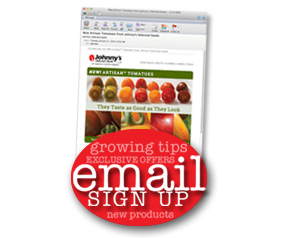 During the main growing season, the pepper beds are mechanically cultivated regularly to limit weed competition. The planting holes are also checked for weeds, and hand weeded as necessary. Depending on weather, a regular drip irrigation regimen will be established, in order to prevent any major fluctuations in soil moisture. And that about sums it up for the pepper-starting routine we follow, here at Johnny’s.